I (very) recently booked a holiday to the beautiful island of Sicily, and because of uncertainties about when the boy and I would be able to take the time off, we ended up booking it less than two weeks before we planned to go. Sound scary? Well, okay, maybe a little, but as long as you can keep a level head, booking a last-minute holiday really isn't so bad. Although I'd always recommend booking a holiday as far in advance as possible since it'll be cheaper and you'll have more choice when it comes to flights and accommodation, sometimes you have to hold off on booking anything until you know about other commitments you might have (jobs, weddings etc. ), and that's okay. Having survived booking a last-minute holiday, I thought I'd share some advice for anyone in the same situation. When it comes to last-minute booking, flights seem to be the thing that get harder to get hold of and, unlike hotel rooms, they don't tend to get cheaper the closer you get to your departure date. Also, there are likely to be other people booking last-minute, too, so seats will start to fill up quickly. When we were booking our flights, I had my eye on a particular return flight, and within 24 hours the number of available seats on that flight dropped from four to two, so once you've found your flights (try looking at websites such as easyJet, Ryanair, Skyscanner and Expedia) and you know how much they're going to cost (including any check-in luggage, seat reservations and insurance you might want), book them as soon as possible. We booked our flights just after the accommodation to avoid booking flights and then ending up with nowhere to stay, but you can do it in whichever order feels best for you. This kind of follows on from the flights. 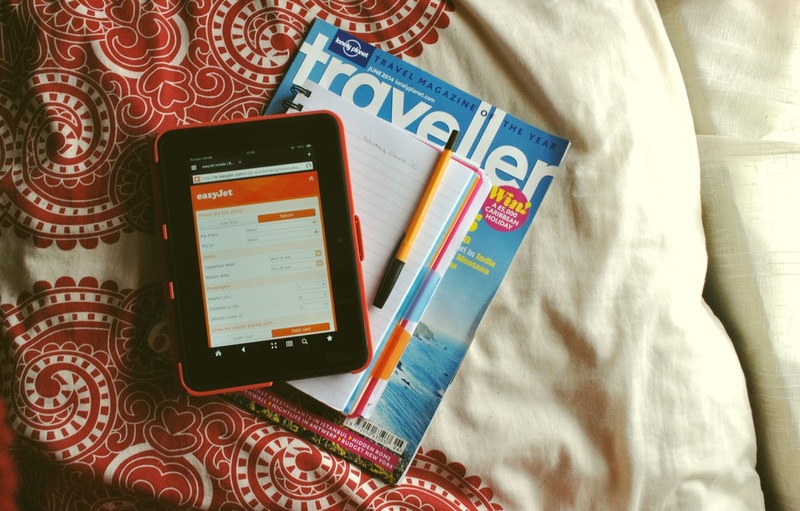 If you need to book your flights quickly, and you want to book them after the accommodation is secured, the last thing you want is to be waiting around to see whether or not you'll actually be able to book your accommodation, which is often the case with sites like airbnb where it's up to the owners of the property to decide whether or not they'd be happy for you to stay - most hosts respond positively most of the time, but when you're booking last-minute you might not want to take the risk. If you're unsure of where to book, try lastminute and LateRooms (both of which offer reduced prices on short-notice bookings) or Hostelworld (less designed for late bookings, but this is where we found our accommodation, and the prices are usually ideal for those on a budget). This saves you potentially missing out on the flights you want while you wait for a response or booking the flights and then finding that you're going to have to find somewhere else to stay. Even if you can't book anything just yet, you can still come up with a rough plan of where/when you'd like to go, the sort of places you'd like to stay (hostels, hotels, campsites etc) and any excursions you might want to do, and from there you can start looking around for what's available and when, so when you can eventually start booking, you'll have a list of potential choices which saves you having to try and find and book everything in one go. You can do this as far in advance as you like - it can be months, weeks, or even days - but just having a rough idea of what you'd like to do gives the actual planning and booking process some direction, which makes it feel much more organised and less stressful. That being said, keep an open mind with your list - you might find that you have to change your plans slightly, and if you get too attached to your list you might feel disappointed, but if you remain flexible you're more likely to accept the changes and see the positives of them! In other words, don't let the stress beat you down! Short-notice booking can be a little stressful, but it doesn't have to be. Just try to keep an open mind and if things do get stressful, try to laugh it off. People book last-minute breaks all the time, and if they can do it, so can you! Perhaps one of the most important parts of this is to try not to beat yourself up for not doing this sooner - it's something I started to do at times, but just remember that you can't go back in time and change things, so there's no use wishing you could. Just work with the situation you're in, and you might be surprised about how well it all turns out! I really hope these tips have helped you if you're going to be booking a last-minute break by offering some guidance and reassurance. This was the first holiday I've ever booked, too, so if I can do it, you'll be absolutely fine. And, if you are jetting off somewhere soon, enjoy it! You deserve it.